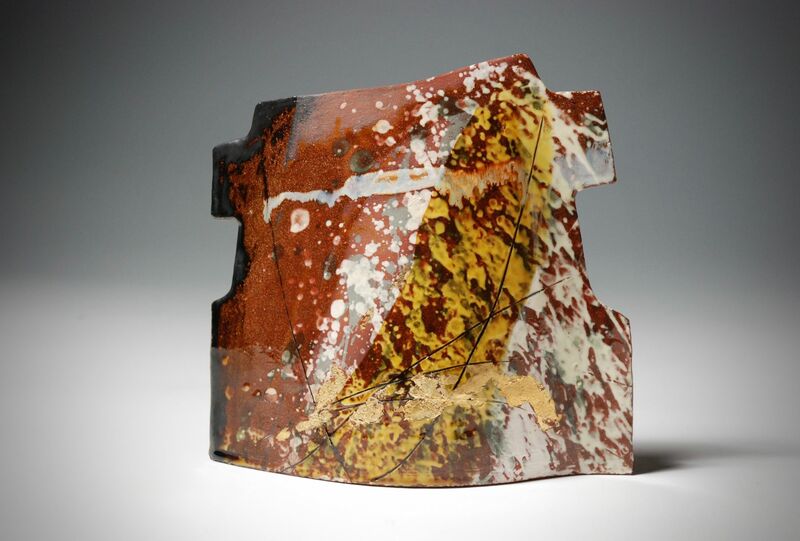 Handbuilt earthenware terracotta sculpture decorated with slips and oxides and glazes and finished with gold leaf. 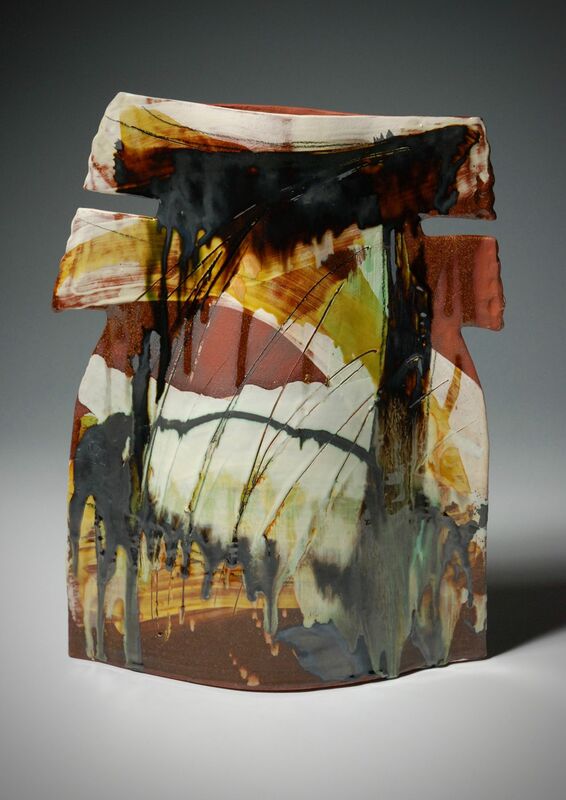 Handbuilt earthenware terracotta sculpture decorated with slips, oxides and glazes. 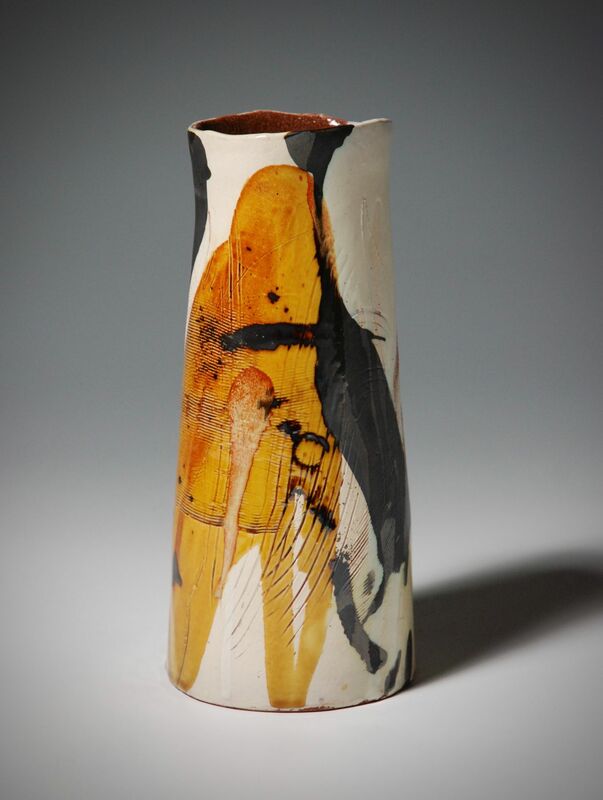 Kirsty is a slipware ceramicist working from her studio in North London. 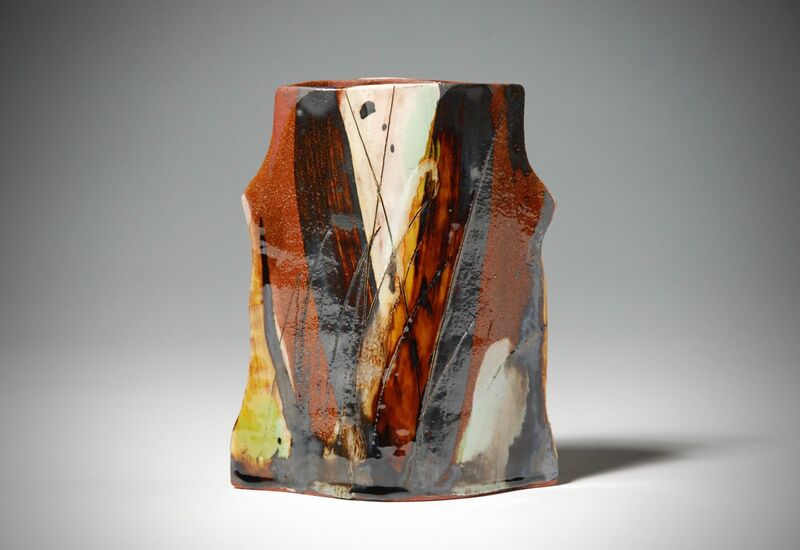 Her work draws inspiration from the heritage of eighteenth century English slipware pottery, using it as a starting point to create her own contemporary ceramics. 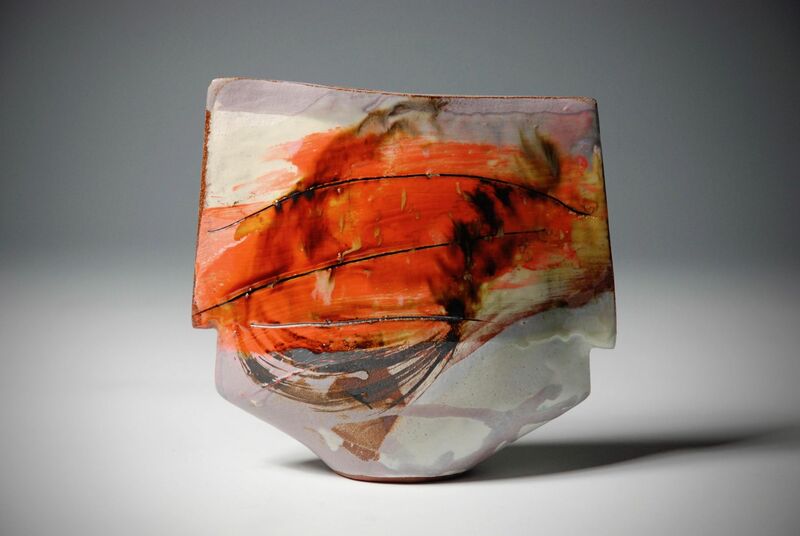 Her work is made from red earthenware clay and fired to 1100 degrees. 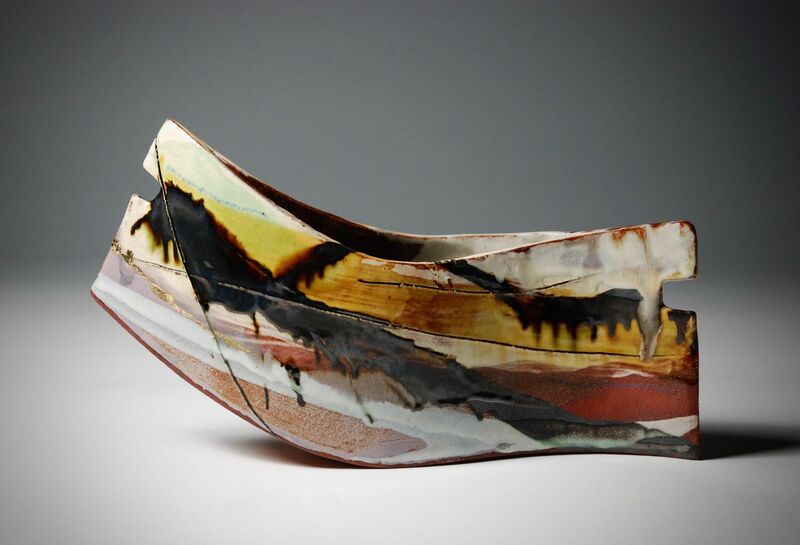 She first creates the forms by hand, using coils of clay to build the structure. 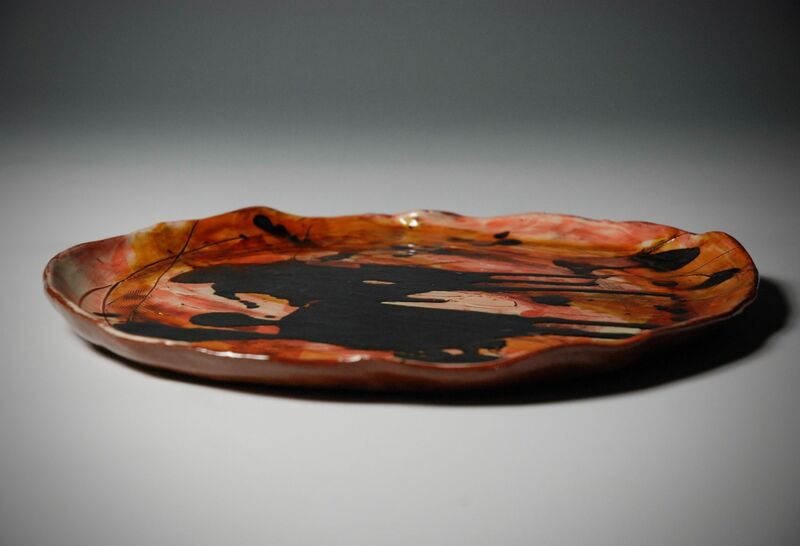 She then refines the shape using an old saw blade and finally uses a rubber kidney to smooth. 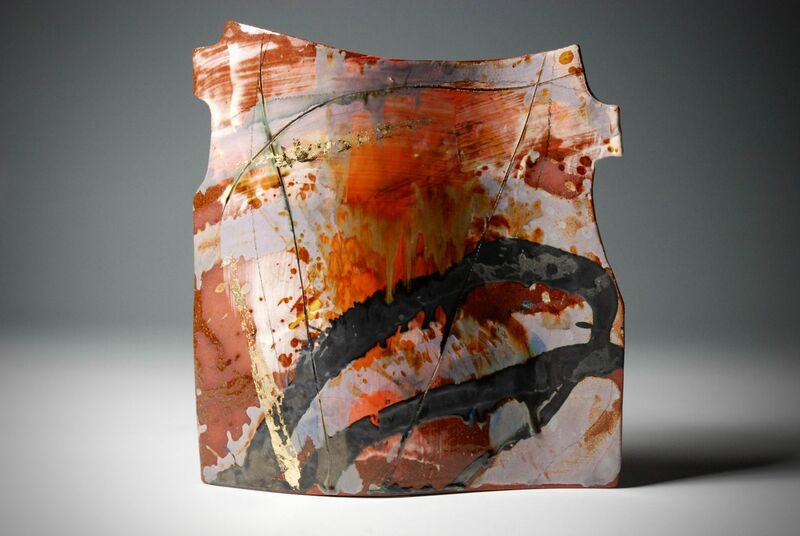 she lets the form dry very slowly to the leatherhard stage and applies various coloured slips and sgraffitto onto the surface. 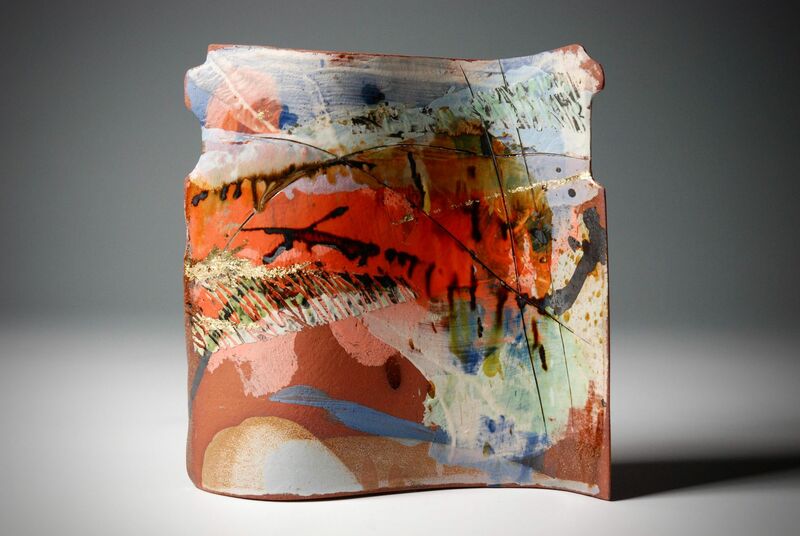 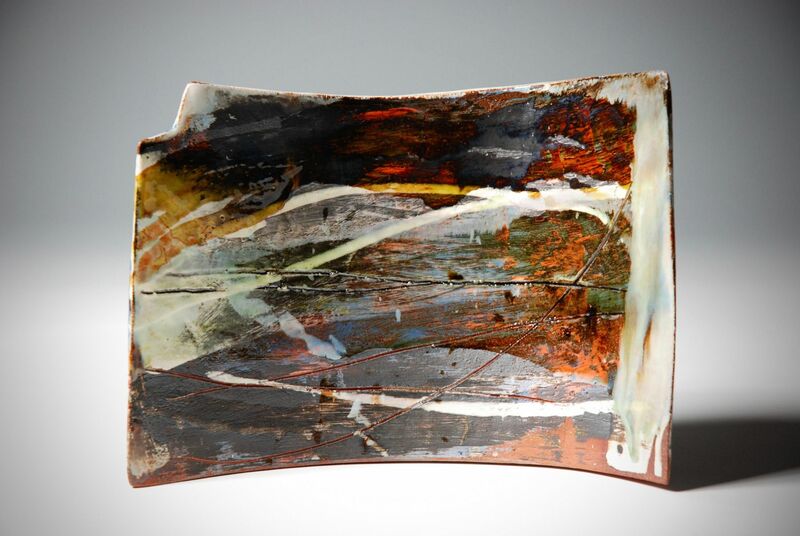 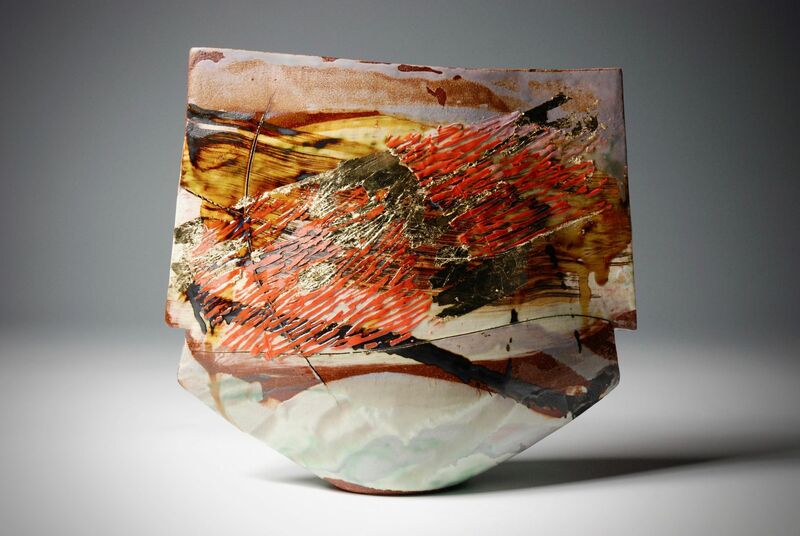 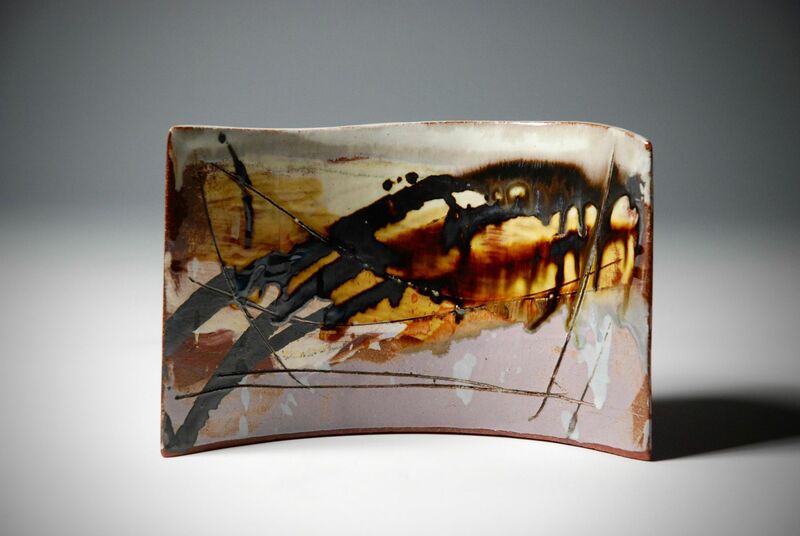 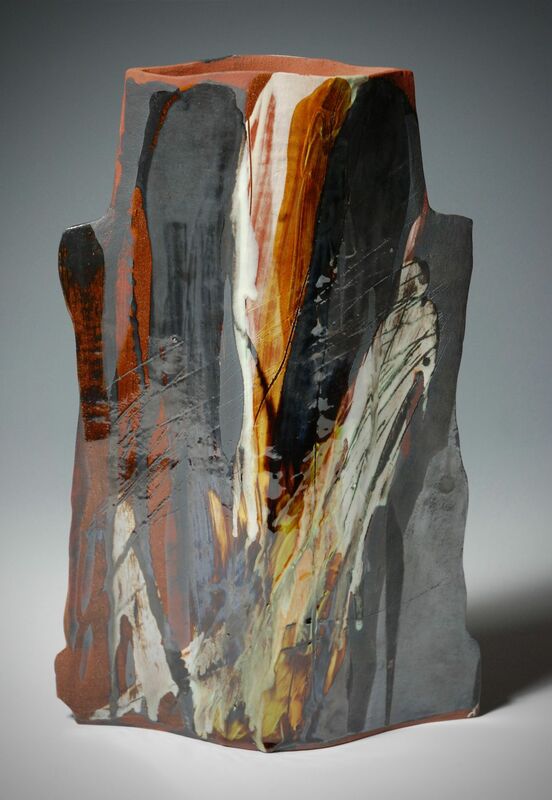 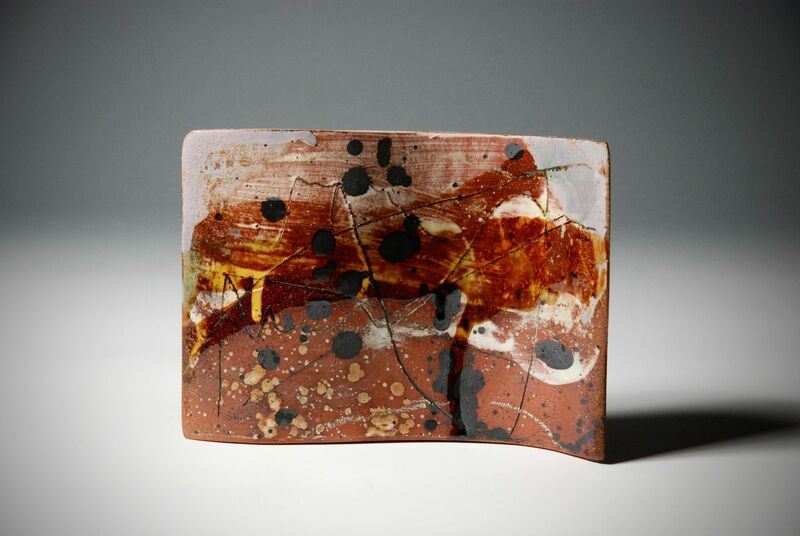 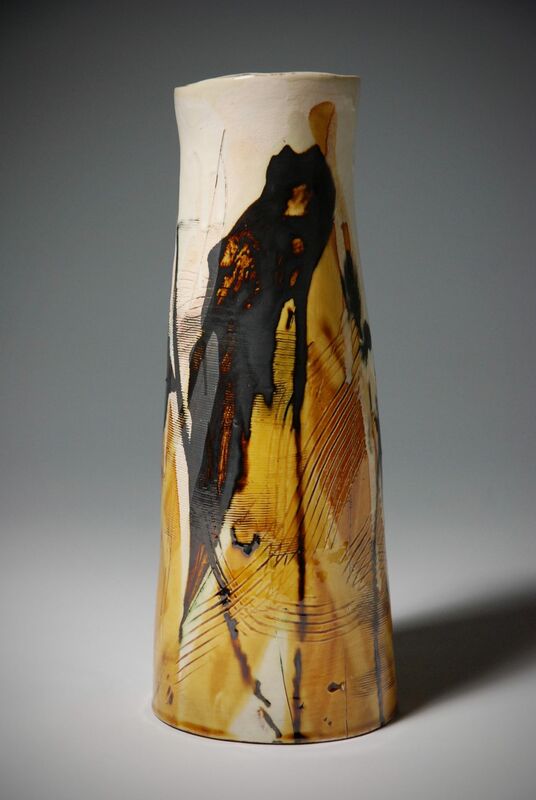 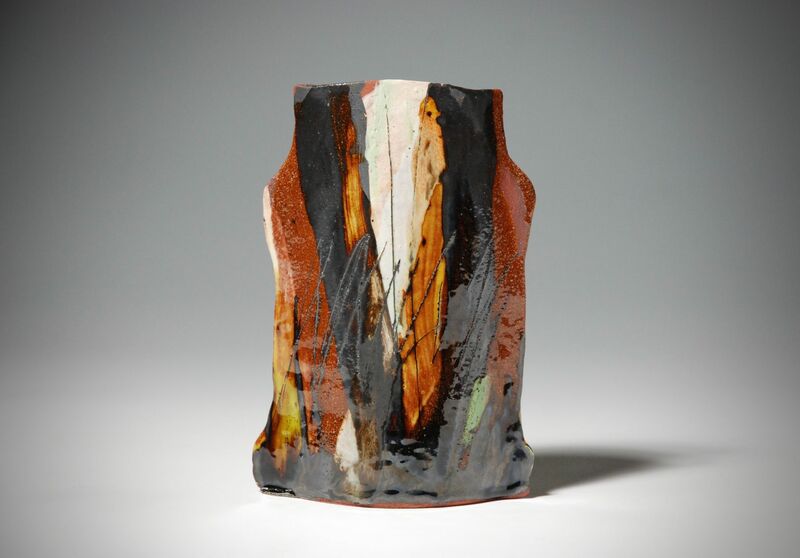 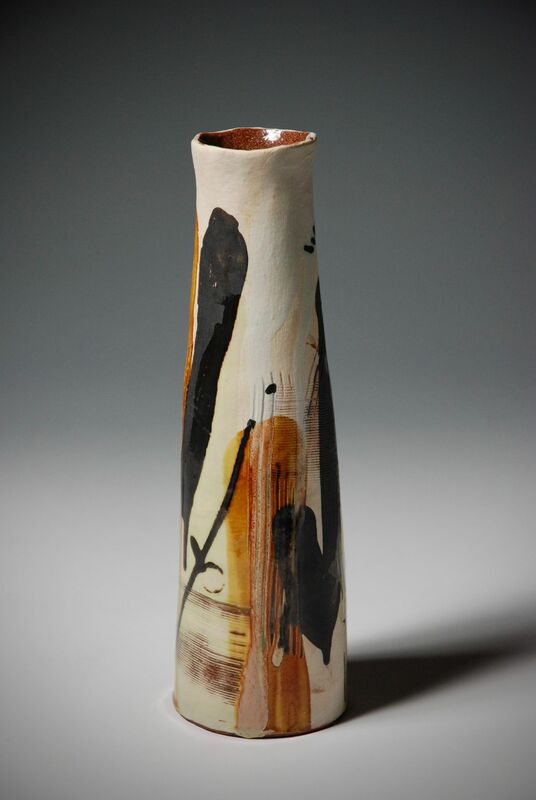 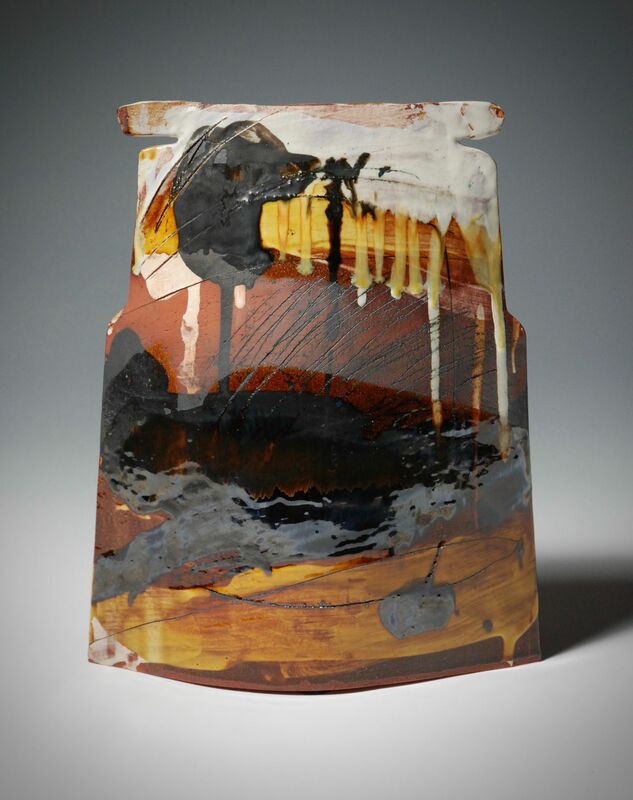 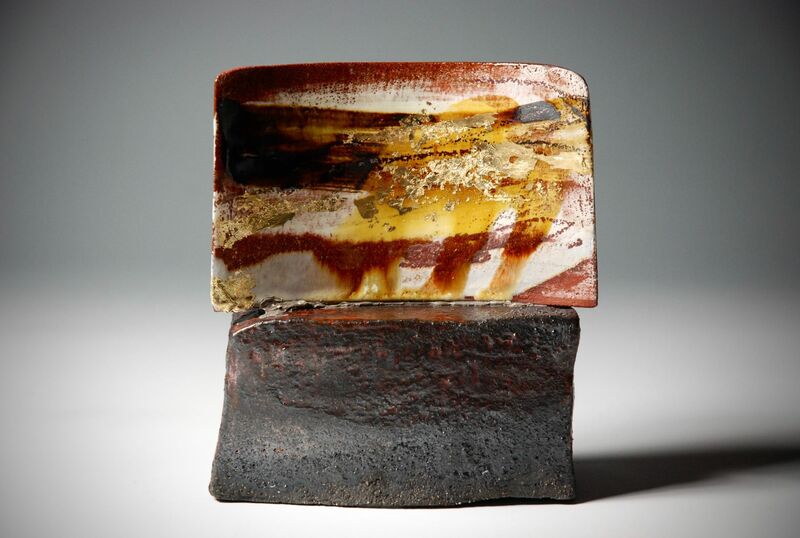 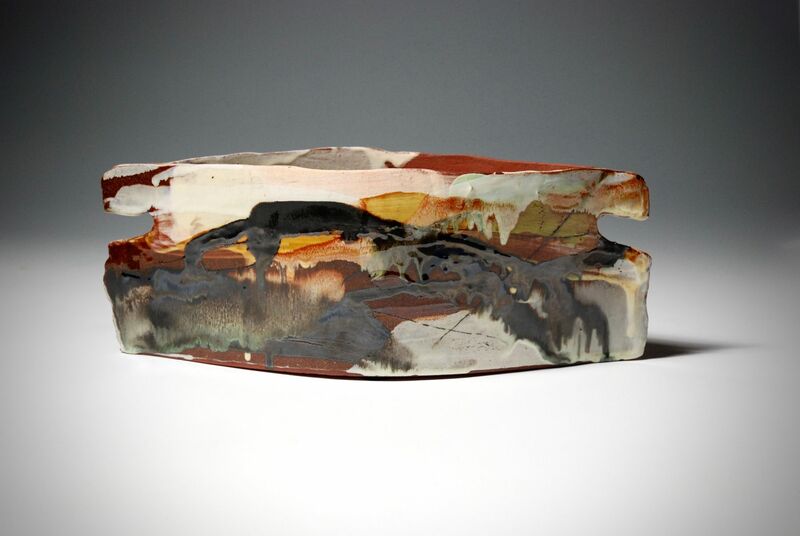 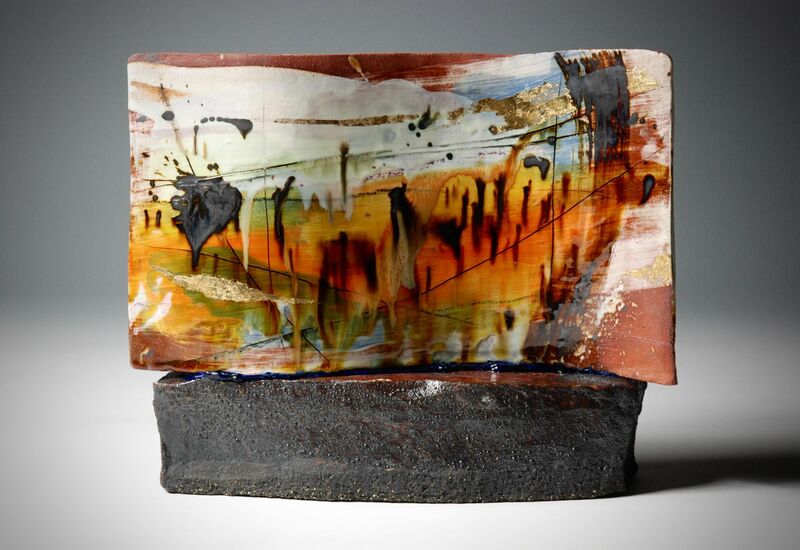 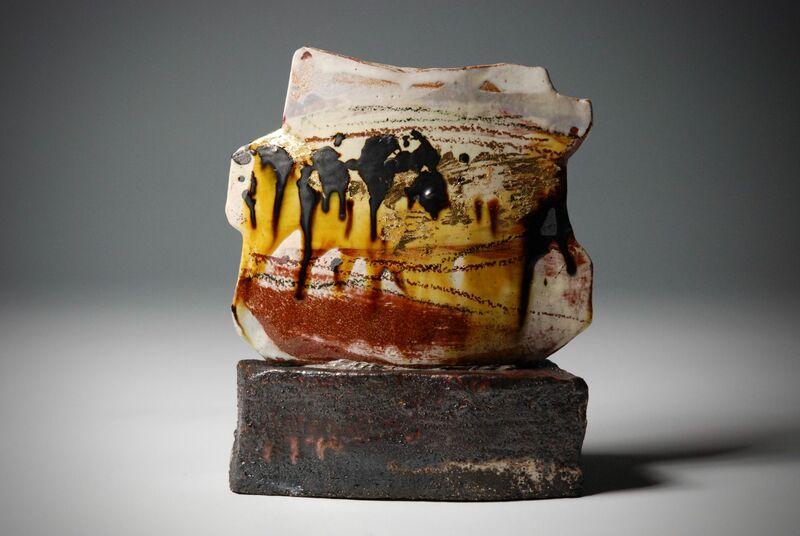 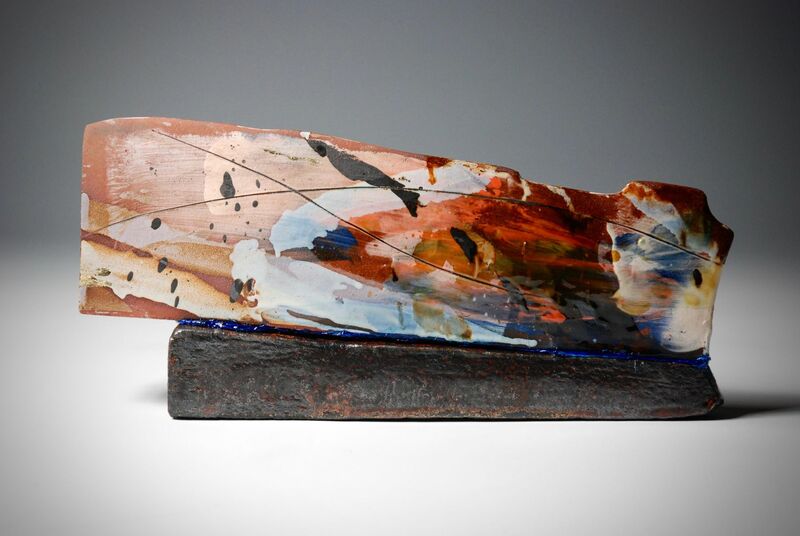 Once the piece has been bisque fired to 1000 degrees, it is loosely and freely adorned with various glazes by pouring, splashing and slip trailing. 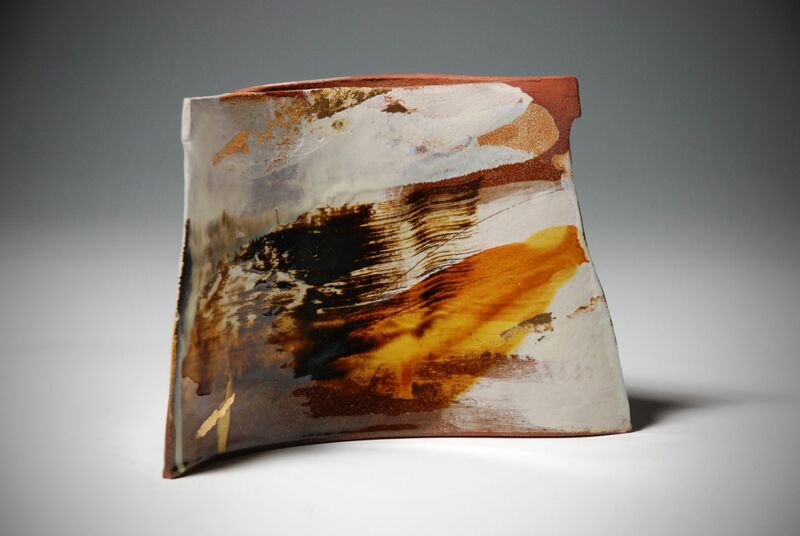 All of Kirsty's slips and glazes are handmade, and she spends a considerable amount of time testing subtle variations to achieve the finishes and colours that she is looking for. 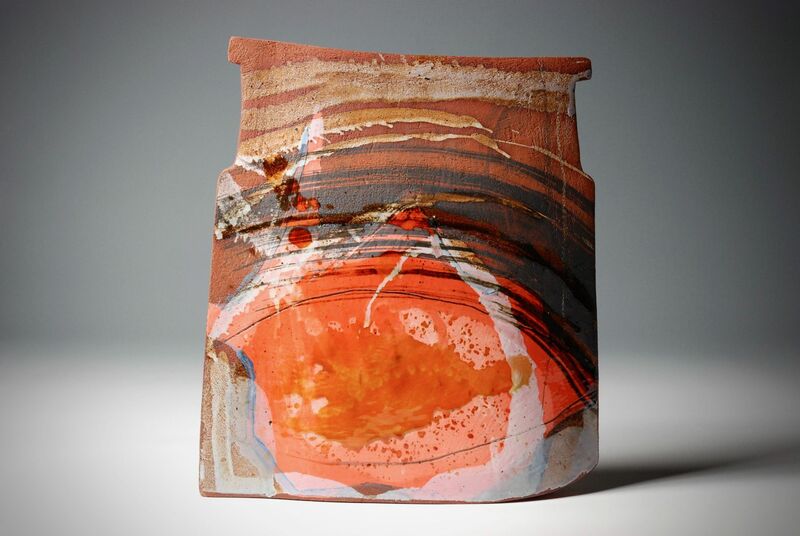 The Stratford Gallery believes her work to be some of the most interesting, effective and beautiful work it has shown and far exceeds Kirsty's age and experience in terms of its importance. 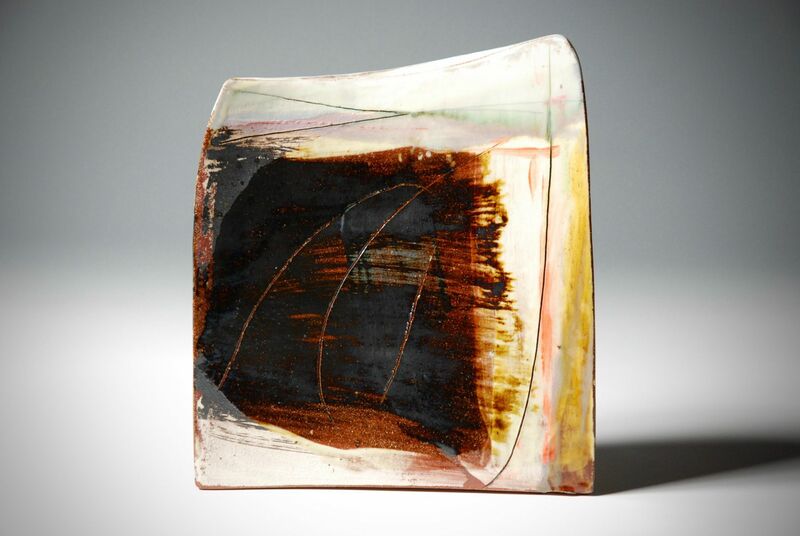 There is a depth of understanding on colour, a confidence with application and a natural sympathy for form that has translated superbly from her time as a painter having graduated from The Glasgow School of Art’s prestigious painting degree in 2009. 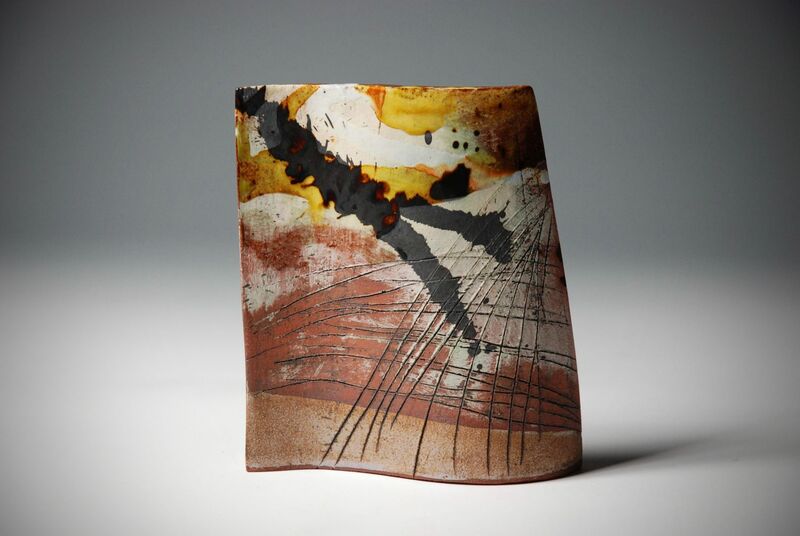 We believe her work to be important and that it deserves to be collected at this early stage in her career.